1. 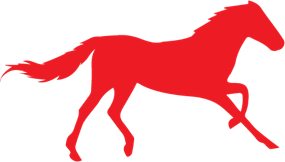 Saratoga Race Course. This is an obvious place to start. If you want to experience horse racing, this is the place to be. But some of the cool experiences that people might not know about are Breakfast at the Track watching the horses warm up or trying the Track Tours.Also a great place to visit is the Whitney Viewing Stand. 2.Saratoga Polo Club: I absolutely love going to the Saratoga Polo field. Tailgating here is one of my all time favorite summer events. If you haven’t experienced this before, you are missing out. Grab some friends, food and drinks and watch the game tailgate style! Don’t forget to divot stomp! 3.Horse Lessons: My daughter started lessons at 3 years old. I had a hard time finding some place that would accomdate her at such a young age. She started at North Country Horses in Gansevoort and has been there since. They do both adult and child lessons of all ranges and summer camp. 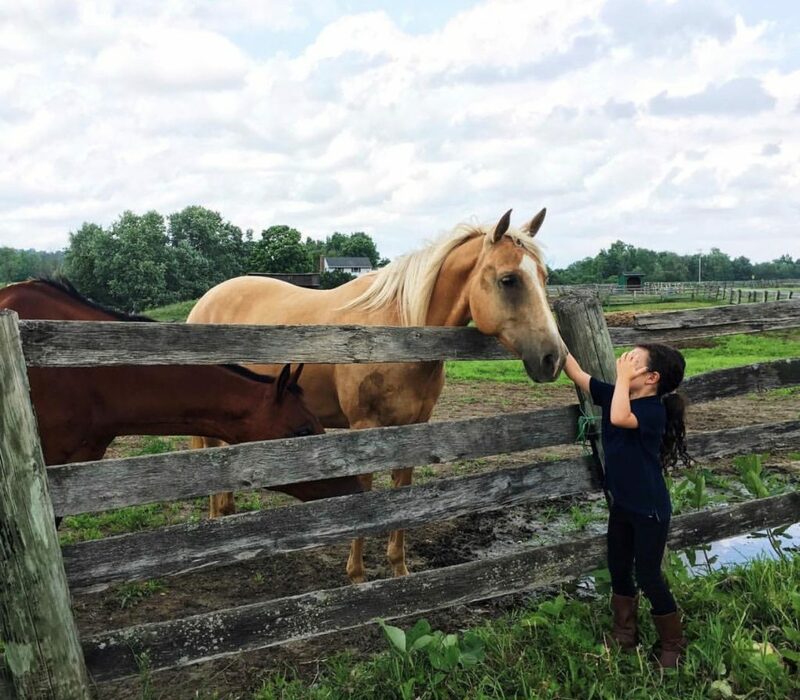 Saratoga Lake Equestrian Center, Hannanna Stables in Ballston Spa and Olde Saratoga Farms in Schuylerville also do lessons for all ages. The last 2 also do pony parties for your little horse lovers! 4. 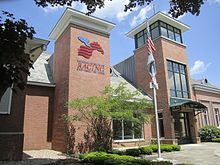 Other: If you don’t want to get up close and personal with the horses, check out the National Museum of Racing and Hall of Fame. Or take the kids for a ride on theCarousel in Congress Park! Another great option is to take a tour at Old Friends Thoroughbred Retirement Farm. 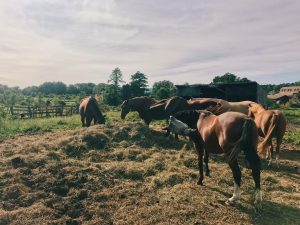 Now that you have the lowdown on where you can go to find horses in Saratoga County, now let me tell you about a horse property for sale here. I got the chance to explore an Equestrian Training Facility this week. I walked onto the property of 489 Stage Rd and stood by the black iron entry gates to take it all in. In front of me laid a 20 acre Equestrian property minutes to I 87 and I 90. 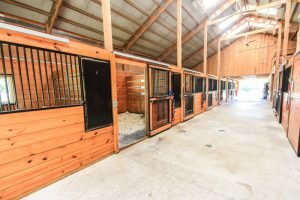 Just by taking a glance around, I could tell that this property wasn’t just any ordinary Equine Facility. 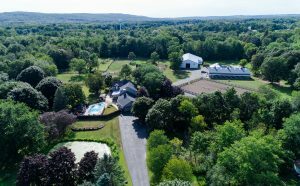 On this property, you will find a 5,835 sq foot barn built by Morton, 7 paddocks with auto-heater waterers, a heated indoor arena and a remodeled home all sitting in the middle of Charlton, NY. What makes this property so unique is the detail that was put into just abouteverything. 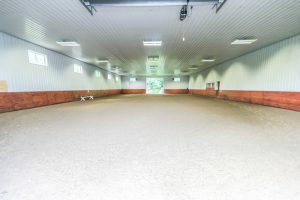 From TravelLite footing to 14X14′ stalls, from a private heated/Airconditioned workshop to central drainage throughout, this facility is not lacking detail. As I read through the notes of the property, I looked down to the driveway my feet were standing on. Asphalt binder driveway for heavy vehicles and equipment. I took a stroll into the newly built barn and found myself having flashbacks to when I was a teenager, spending my summers at the barn where I boarded my very own horse. Of course, this barn had many more intricate components than the barn I spent my summers at. We didn’t have a fully insulated foam and wash stall or commercial laundry room. We also didn’t have a Tack Room with de-humidification or a heated viewing room. Or the simple fact that the barn has been recognized by NYS for it’s energy efficient green standards. Still, petting the horses and smelling that all too familiar hay scent brought me back. Some of the best memories I have were in a barn or out on a horse. I wandered around the property taking it all in. There are so many great qualities about this property that I could go on and on for days. I even took a peak inside the 4,152 sq ft updated house. 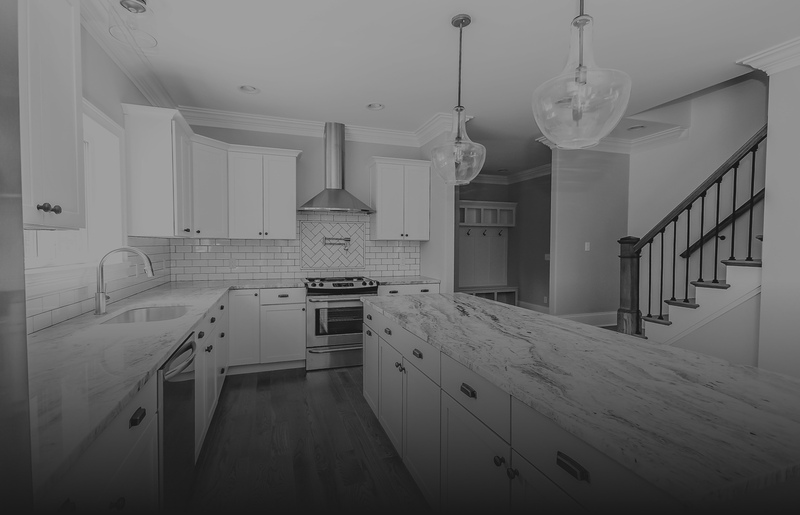 Some of my favorite features of the home were the custom stone walkway, the cabana and tiki bar sitting next to the pristine gated pool and Kohler DTV Steam shower in the master suite.